The drug is popular due to its long half-life. The use of the drug 1 time before bedtime will achieve the effect of rejuvenation and increase the parameters of growth hormone. The history of the drug occurs from ancient times. Abroad, athletes actively use CJC-1295. This allows them to achieve greater results, compared with domestic athletes. Now the drug is widely used and we. The drug is used by high-level athletes, whose goal is the maximum permissible result without harm to the body. CJC-1295 is significantly better in performance than steroids. The mass of muscles is very qualitative and lasts much longer after the drug is discontinued. Peptides help to gradually increase the mass of muscles, qualitatively affect the musculature and do not harm the health. The drug is prescribed for medical purposes to children who have a small coefficient of development of their own hormone responsible for growth. To increase the effect, the drug is often mixed with GHRP-6 or GHRP-2. Such a single injection will increase the growth hormone 10 times. Injections are administered intramuscularly or subcutaneously. The standard dose is 1-2 mcg / kg maximum 3 times a day. Ampoule 2 mg contains 2000 μg. Dilute the peptide with water for injection, which is sold in pharmacies. During the dilution of the drug, water must flow down the walls of the ampoule. After this, you need to carefully dilute the drug in water. Do not shake the bottle. It's enough just to rotate it lightly. Thus, the peptide dissolves in water quite efficiently. The drug is used before meals, after classes and at bedtime. The time of taking the drug depends on the required result. It should start with the recommended doses, increasing the dosage will not bring more effect, but it will allow to observe the reaction of the body to the drug. 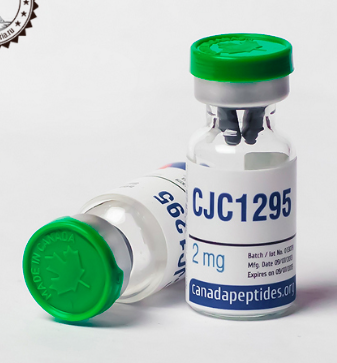 When you understand the action of CJC-1295 on your body, you will be able to get the maximum effect from taking the drug. Important during the course are training, nutrition and sleep. The correct mode of the day will increase the result. Before using the drug should consult with a specialist. Store the peptide in a cool, dry and dark place at a temperature of 2 to 8 degrees Celsius above zero.